Geographer Is Having A Moment. “I’ll never forget that night as long as I live,” says Mike Deni, the singer, songwriter, and multi-instrumentalist behind San Francisco based dream pop outfit Geographer. Deni is reflecting on this past New Year’s Eve, a night which for Geographer capped off a banner year. In March, Deni released his third album under the Geographer name, the critically acclaimed Ghost Modern. 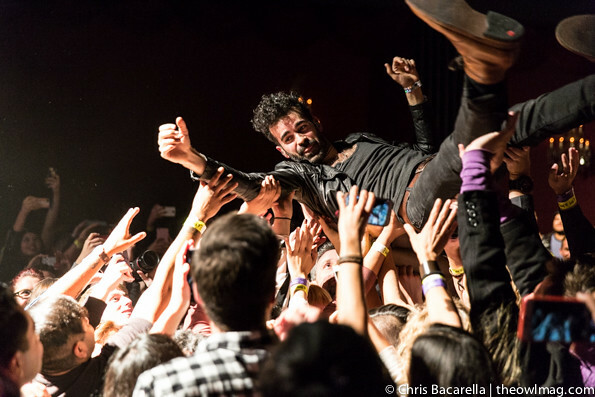 Following a personnel change, Geographer embarked on a tour of the United States, where Deni jokingly says he “whipped his touring band into shape,” and played some of the best shows of his career. His second release of the year, December’s Endless Motion, Vol. 1 EP, found Deni covering an array of songs which had impacted him both personally and professionally. Artists as diverse as Tears for Fears and Felix Da Housecat were given the Geographer treatment, providing a gorgeous new look to tracks that originally thumped and grooved. 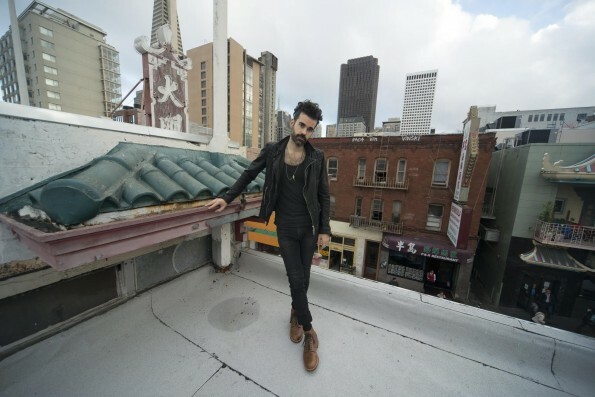 Geographer finished the year playing The Big One, a New Year’s Eve show at San Francisco’s fabled Bill Graham Civic Auditorium. Along with bands including Ratatat and Tycho, Geographer got to share the stage with a band that Deni has been enamored with since his college days, the Flaming Lips. It’s clear when talking to the affable Deni, however, that his band’s success has come not from luck, but from hard work, and a boundless energy which is constantly pushing him to create. Deni is not just a musician, he’s also a music lover, able to dissect and absorb influences before letting them shape creations that are entirely his own. During the sessions for Ghost Modern, Deni began experimenting with new sounds including string and horn arrangements. Though Geographer has always featured the occasional cello, Deni credits his leap into arranging for classical instruments to a gig Geographer played with Minna Choi’s Magik*Magik Orchestra. 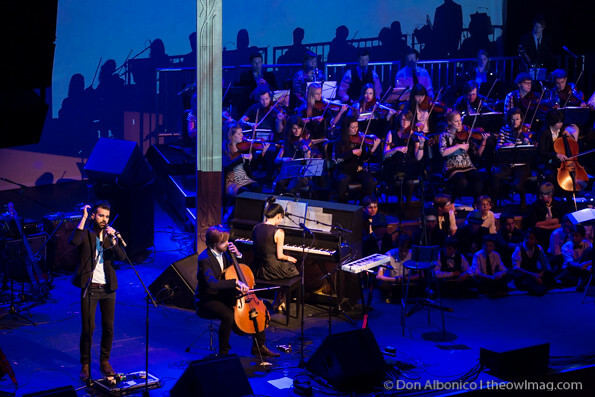 “I was steeped in this orchestral sound, which I’ve always loved. I just wanted to be able to do that. I felt it was a weakness that I couldn’t do it. Then I thought, Well why don’t I just try, and I did it, and then I put strings on everything.” Though Deni and his producer, Eli Crews, eventually pared back their application of strings, it was this willingness to experiment which lead to Ghost Modern being Geographer’s most fully realized album to date. Like Bowie, Deni is not one to rest on his laurels. After all the success of 2015, he could’ve easily justified taking some time off. He’s not, though. “I’m gonna go on tour this spring,” he says, “and then I’m gonna start working on new music.” Thankfully, for Geographer fans, slowing down seems to be the one thing Mike Deni doesn’t plan on doing. Geographer’s latest release, Endless Motion Vol. 1, is available now on Roll Call Records.